In a wide-ranging interview on the subjects of electric vehicles, power infrastructure, and international trade, Mary Barra shares her vision of a future with compact EVs in everyone's driveway. However, she opts to drive the largest gasoline vehicle GM makes. Her reason is revealing. Do as I say, not as I do. That was the surprise ending of an interview with GM's CEO, Mary Barra, that covered almost every key subject related to modern automobile manufacturing. In the interview, Ms. Barra is proud to announce that GM will be expanding its Chevy Bolt battery electric vehicle manufacturing at its Orion Plant in Michigan. The multi-vehicle plant is flexible and can produce gasoline-powered compact cars, or it can build the Bolt. Barra hinted that shifting the line to make more Bolts could add jobs, but didn't elaborate on how, or how many. Throughout the interview, Barra praised battery electric vehicles, and in particular, the relatively affordable all-electric Bolt. The interview was held at an energy conference. The cheeky folks from GM had a fleet of its EVs shipped to the location and parked outside so that the attendees, and the media, could see all of the battery electric and plug-in hybrids vehicles the company has to offer. In the interview, Ms. Barra points out that GM believes in an all-electric future and that she feels moving to electric vehicles and away from gasoline-powered vehicles "...is very important for the globe." She went on to add, "...what I think is a really important data point, whether you're talking about the Chevrolet Volt, or the Chevrolet Bolt EV, those are some of our most satisfied customers. They love those vehicles." That's is why her own choice of vehicle was so surprising. At the end of the interview, in a part that seemed unscripted, the host asks Ms. Barra, "What do you drive? Do you have cars, access to automobiles?" Barra's answer was very revealing and says a lot about why less than 1% of Americans choose to buy battery electric vehicles like the compact Chevy Bolt. Barra answered, "One of the best parts of my job is I can drive almost any product that we have and I try to drive all of them. But right now, winter in Michigan, so I'm driving a Cadillac Escalade." You totally get her answer, don't you? "Winter in Michigan." Say no more, no electric vehicle can handle winter. Not even the one from Cadillac. The 4-wheel drive Cadillac Escalade Ms. Barra opts to drive is one of the globe's largest and least fuel-efficient passenger vehicles with an EPA City rating of 14 MPG. Ms. Barra's unspoken, but obvious inference is that EVs like the Chevy Bolt, Chevy Volt, and Cadillac CT6 Plug-in Hybrid are no match for winter conditions. 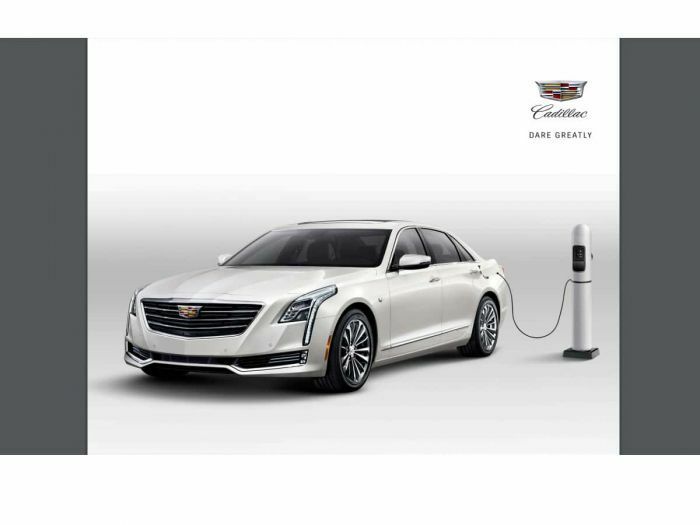 Until the top executives at large automakers see electric vehicles as 4-season cars it is doubtful the general public will. Related Story: 97.4% of Americans Chose NOT To Drive A Green Car – Which Three States Buck The Trend? Many of Mary Barra's previous statements have not been about vehicles but about "diversity". Perhaps none of it makes any difference, GM can always depend on the taxpayers being forced to fund GM's poor management through bailouts. Personally, as a onetime all GM guy, I've "diversified" out of all GM vehicles – I'd be uncomfortable driving one. I live in rural Canada on a dead-end dirt road that gets plowed last, put winter tires on both of my Volts, and have never had a single issue. This article is hogwash and Ms. Barra and others simply need to increase their winter driving skills and confidence, not choose a behemoth of a vehicle to do what an EV can also accomplish in 95% of conditions. I like Mary Barra, But it doesn't look good when she is so heavily promoting electric cars, yet she cant drive her own companies best e car because its winter. She is basically saying that if you live in a cold climate area, then G/M doesn't have a electric car you can drive year round. Her answer shows why less than 1% of people drive e cars.